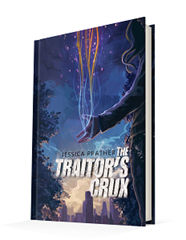 Published November 14, 2017 by Oftomes Publishing The Traitor’s Crux by Jessica Prather is her debut novel that combines magic and political upheaval in this young adult fantasy novel about survival and the cost of it. Such an interesting concept has gone into the making of this novel. In some ways, it is reminiscent of Sally Green’s Half Bad series, with political upheaval combined with magic. However, while Green’s series was similar to Harry Potter, this series takes a look at an American society that has been destroyed and changed with the discovery of magic. Now those with magic are hunted, captured, executed or used as pons in a game. Society has fallen backward in this novel; it has moved into a country run by martial law and one commander, one man who seeks to use magic or destroy it. There is such an exciting mix here between magic and dystopia, combining those elements alongside political upheaval to make the story flow the way that it does. The characters are interesting, and they all have such a vibrant dynamic with one another. As a debut novel, it is a solid start to an exciting series as it follows Kenadee, a teenage girl who is alone in the world, a girl who has no idea she has magic within her, a magic that is being used against her, leaving her between a rock and a hard place. The story also has a level of realism to it brought on by the corrupt government that now controls everyone. It is clear that the subject matter is addressing discrimination, and that makes it a strong way to build up the characters and the story. This subject matter gives some dimension to the realism of the story making it more than just a war between people with magic and those without. There’s much fear in the novel from both sides, and that fear is something every reader can imagine and, in some ways, even relate to. There’s a lot of history to the plot itself, but Prather does not waste her time or her readers time dragging it out and laying it out for the reader. 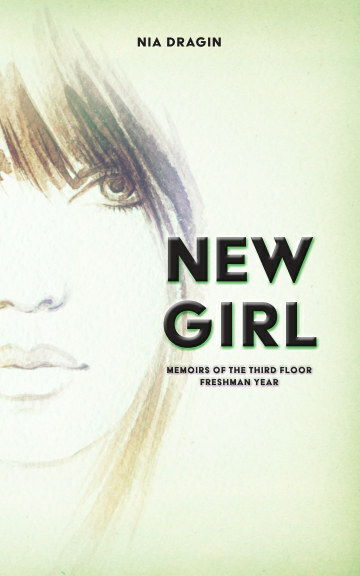 She starts the story with a bang, with a traumatic event that gives insight into the world the reader is in and then she continues that with the second and third chapter. She is a strong writer who gives bits and pieces here and there that give the reader an understanding of this new world order. It keeps the pace of the novel fast, it keeps it moving and in doing so keeps the reader glued to the pages. By doing this, readers are also given a chance to get to know and sympathize with Kenadee as more than just a character. She begins the story one way and ends in a completely different way. Her journey throughout the novel is incredible and well structured. There are times when her stubbornness gets in the way of the liking her, but it does not take away from sympathizing with her. She is a scared girl who is blackmailed into a war she wanted nothing to do with, a war that already broke her and her family, a war that is now building her up to be a strong character.